Many of us have seen the movie Amazing Grace which tells the story of William Wilberforce’s battle in the British parliament to abolish the slave trade in the British Empire. Certainly Wilberforce was a giant in the legislature and his legacy is remarkable. He had a profound effect on the society of his day. Wilberforce, an evangelical Christian, was a driven man whose passion was the reformation of his society. He was responsible for the Slave Trade Act of 1807 abolishing the trafficking of slaves in the British Empire. He was also the guiding force in getting the Slavery Abolition Act of 1833 passed to outlaw the possession of slaves. 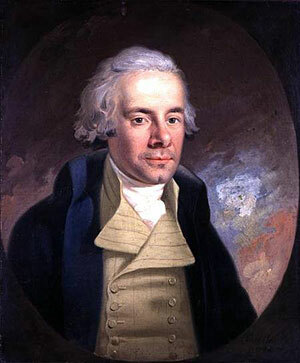 The Act of 1833 was passed on July 26, three days before Wilberforce died. He was too ill to attend parliament to witness the remarkable victory he had accomplished. Messengers brought him the news at his deathbed. The life of this great Christian man was one that all agree was well lived. He left behind him a legacy of improvements in the social structure of the British Empire and could rest comfortably on his deathbed knowing he had accomplished so much. We read the words of our text for today and realise that the One who uttered them had accomplished so much more than Wilberforce because He completed a work of emancipation for a vast number of people of all ages. Jesus paid the price for the sins of His people and now they would be guaranteed release from the debt they owed to the Father. Perhaps the idea of failure may be stronger than we wish to admit. However we know we have not succeeded in numerous things we have tried. It may be accurately said of Jesus that He never tried to do anything. Anything He started He finished. 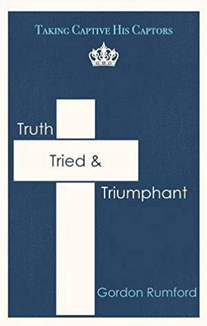 The word attempt is not in Jesus’ vocabulary. When Jesus uttered the words “It is finished” He meant that He did exactly what He intended to do. What Jesus set out to do was totally finished and no detail of His death for sinners can ever fail of completion. His life was indeed well lived. This is what we need to consider in order to feed our faith in Jesus. If we enlist Him to forgive our sins He will do it completely. If we seek His help to live our lives well, He shall come alongside and guide us in the right path. If we have some special need for grace to endure a hardship, He will supply all our need. He does nothing by halves. Have you sought this One to do a complete work on your behalf? If you seek Him you will find Him. He waits for us to come and confess our need. Come, and come today.